J. Sargeant Reynolds Community College has been selected as an “Overall Improvement” category winner of the 2012 Council for the Advancement and Support of Education (CASE) Educational Fundraising Awards program, which honors superior fundraising programs across the country. The JSRCC Educational Foundation is tasked with securing private resources to help support the College and its students while striving to ensure that every citizen in our community has access and opportunity for a college education. Reynolds received its Overall Improvement Award based on three years of fundraising data. The College was joined in the Public Two-Year Institution Overall Improvement category by City University of New York Bronx Community College (New York, N.Y.) and West Kentucky Community and Technical College (Paducah, KY). Of the 429 colleges and universities considered for awards, 71 higher education institutions were recognized for their work. An expert panel of volunteer judges selected winners based on a number of factors including the pattern of growth in total support (or adjusted total support if appropriate), evaluation of what contributed to the total support figure, overall breadth in program areas, pattern of growth in each program area, pattern of donor growth among alumni/ae donors and other individual donors, impact of the 12 largest gifts on total support, total support in relation to the alumni/ae base and type of institution. For JSRCC Engineering Professor Fred McConnell the answer is winning both silver and bronze medals at the USA Volleyball Open National Championships in Salt Lake City in June. 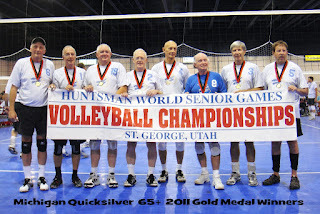 He adds the medals to his collection which includes a gold medal from the Huntsman World Senior Games in St. George, Utah in October, 2011. 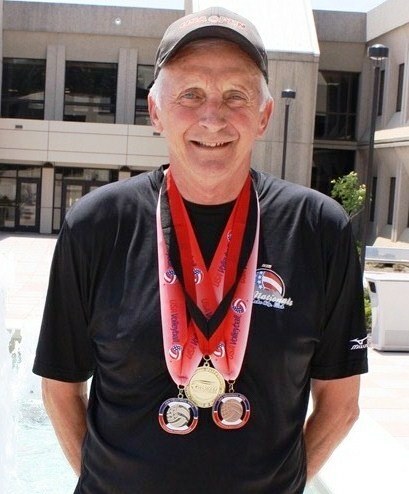 Dr. McConnell, a member of the Richmond Volleyball Club, has been competing in the USA Open National Championships every year since 1989. 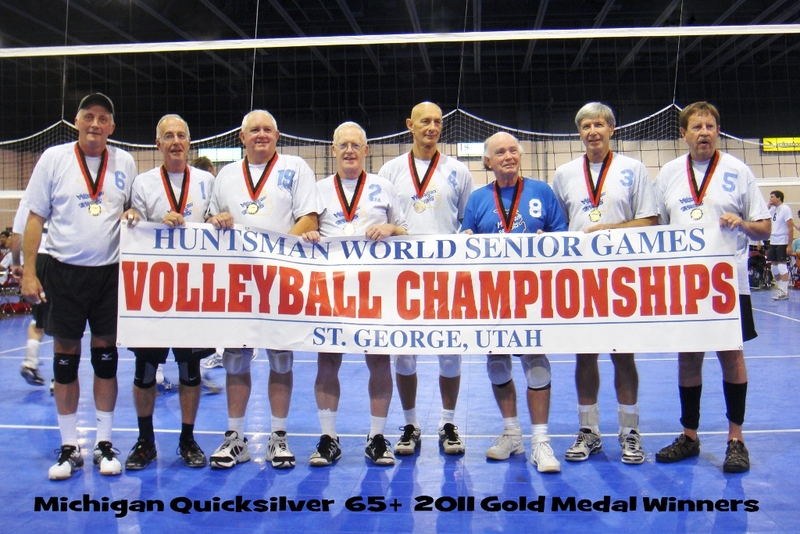 More than 430 teams from around the world competed in this year’s USA Volleyball National Championships. Dr. McConnell earned his silver medal in Session I of the tournament as a member of the GROG-65 Team and his bronze medal in Session II of the tournament as a member of Team SOTA-70. USA Volleyball is the National Governing Body for the sport of volleyball in the United States and is recognized as such by the United States Olympic Committee. USA Volleyball is an advocate for all Americans-endeavoring to assure universal access to opportunities at all levels of the game. It is worth noting that when Dr. McConnell competed in June of this year, he was recovering from quadruple bypass surgery which occurred just nine weeks before the tournament. Have you noticed an increasing number of hybrid and electric vehicles on Virginia’s roads? Hybrid and electric vehicles are a fast-growing section of the market. Do you wonder about who has the technical skills to perform the required maintenance on these vehicles? Many of today’s technicians don’t possess the knowledge and/or skills to repair electric drive vehicles, resulting in a critical need for education in these new and emerging technologies. 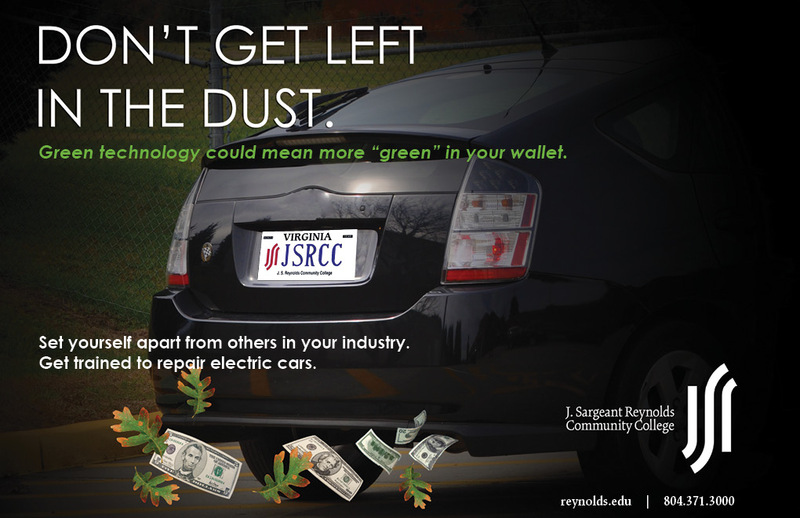 In response to this shortage of talent, and with the benefit of a grant from the Department of Energy, J. Sargeant Reynolds Community College (JSRCC) is offering a new Career Studies Certificate in Hybrid and Electric Vehicle Technology. This program is designed to provide advanced technical education to automotive technicians currently working in the field, students, and graduates of JSRCC’s automotive program. This certificate program provides an opportunity for upgrading occupational or technical skills, retraining for career change, and investigating new career possibilities. This 22-credit Career Studies Certificate program will immerse the student in the latest theory and practice with courses in Alternate Fuel & Hybrid Vehicles, Automotive Control Electronics, Electric Vehicles, Plug-in Hybrid Vehicles, and Fuel Cell Electric vehicles. Admission requirements include automotive industry experience or completion of designated automotive and electronics courses. Students will use the latest tools and diagnostic equipment to diagnose and repair hybrid and electric vehicles. The certificate program can be completed at JSRCC’s Goochland Campus which is located near Routes 6 and 632 in the community of Goochland Courthouse. Some of the courses are also available at the Downtown Campus, Parham Road Campus, and through Distance Learning. For more information on the Hybrid and Electric Vehicle Career Studies Certificate please visit www.reynolds.edu or call Lawrence Schwendeman at (804) 523-5938. Registration is now open - fall classes begin on August 20th.elf apart from others i your industry.et yourself apart from others in your industry.